Before we go any further, the name of this pie has got to be clarified! After all the recent news headlines shocked at the production of squirrel pies by an exotic pie firm, we are not expecting people to give a dam about the meat used in this Brockleby’s Steak pie. 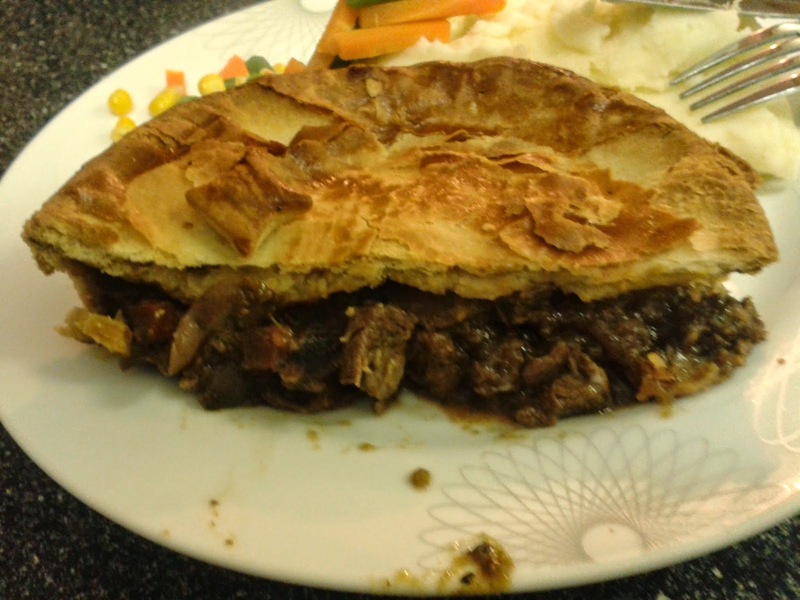 For you won’t be gnawing into beaver flesh if you eat this pie – this is a beef steak filling and it is simply the Beaver Ale that is used in the pie that gives it the wild name. Phew! Onto considering the content and the quality of the meat was very good. The meat was moist and very tender, not particularly chewy and flavoursome. Having said that, while the meat was nice and moist the pie did lack a bit of moisture in the pie filling, leaving me feeling a bit lacking in gravy. It didn’t help that – with some cracks in the pastry casing – this pie had leaked a bit during the cooking. However overall the meat, despite being just 35% of the ingredients, was the real highlight of this pie. The rest of the content – consisting of quite a bit of onion and some mushroom and carrot – did make it feel like the pie was being slightly padded out, but overall the capacity of the pie was good. The ale gravy there was did taste good and for that, the Beaver Ale from local brewery Old Dalby did its job successfully. The shortcrust pastry was quite firm and a bit too thick in places, leaving a slightly high pastry to filing ratio for the ideal pie, but the pastry generally held the content well. Despite a little gravy leakage through cracks in the side, the pie was generally presented well and one I would certainly welcome eating again, receiving Pierate Recommended status. 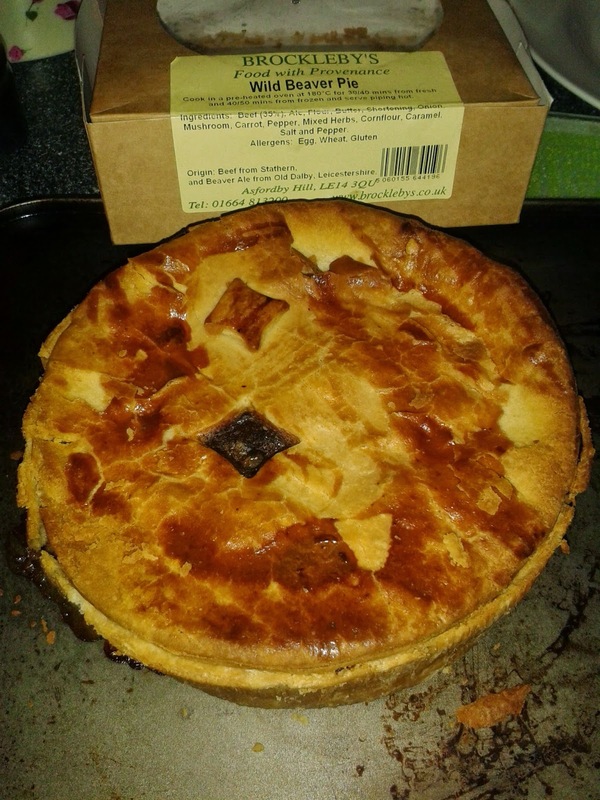 With the Brockleby’s Venison pie winning the “Other Meats” category recently at the British Pie Awards 2014 – and I am reliably informed that the venison pie contains exactly what it says on the packaging! – I certainly haven’t finished with their pies just yet!